Chefchaouen or Chaouen, as it is often called by Moroccans, is a popular tourist destination because of its proximity to Tangier and the Spanish enclave of Ceuta. There are approximately two hundred hotels catering to the summer influx of European tourists. 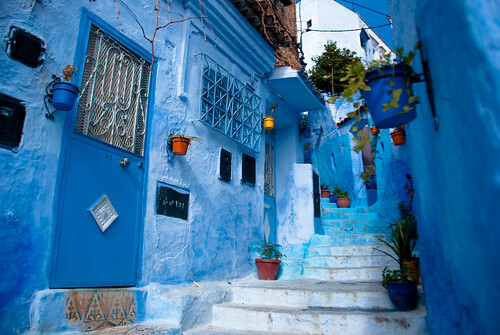 One distinction possessed by Chefchaouen is its blue-rinsed houses and buildings.